It is very hard to understand the history of Palamoor as this region was always neglected by the rulers. And for most of the time, this region was ruled by very small regional rulers, Samasthans, Jamindars, Doras or land lords. More over, majority of Palamoor people always lived in poverty and slavery and Recording of History was never a priority. Nobody knows about their history nor do they want to know it. Even today the people of this region struggle all their life for basic needs. Palamoor district belongs to “Asmaka” Janapada, which belongs to 6th century BC. According to Mahabharatha “Ashmaka” Janapada belongs to “Dakshinapatham” (Southern Part). Its capital was “POUDANYANAGARA” and later it is known as “Mulikinadu”. According to Mahabharata Agastya Maharshi passed to Dakshinapatha and established a shiva temple known as “Agastheeswara Temple” on the banks of river Krishna (near to Kollapur). This region was southernmost land in the Asoka’s Empire in 250 BC. We find many inscriptions of Asoka near by Palamoor ,”Maski” of Raichur district of Karnataka, Erragudi of Kurnool District. Sathavahanas are the first Telugu rulers who ruled the south India for more than 400 years. 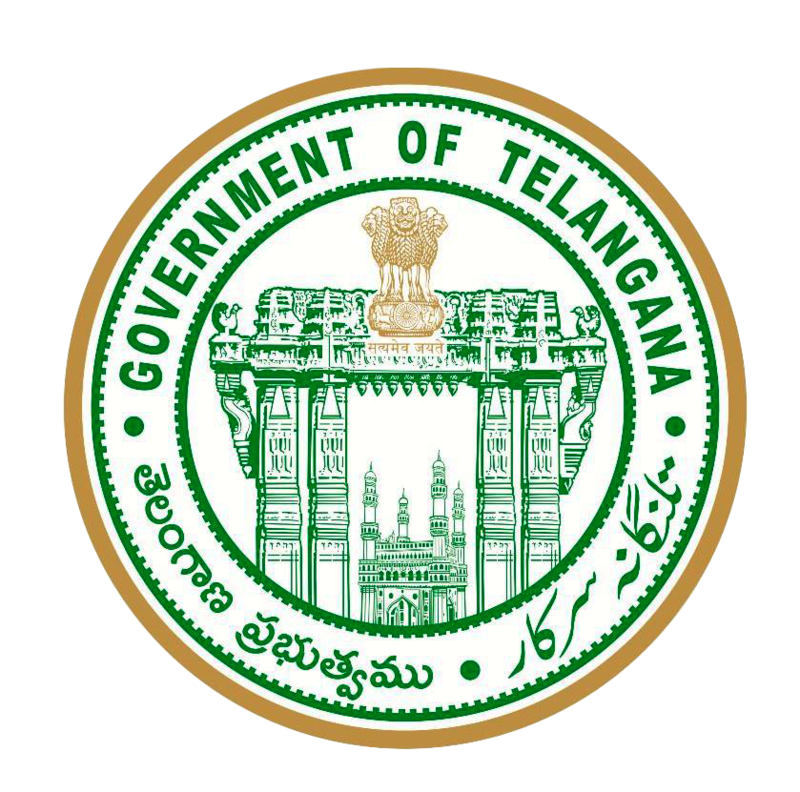 Origin of this dynasty was from Kotilingala of Karimnagar District. According to the Prof. M. Radha Krishna Sharma garu the Prominent Historian, the village “SATANAKOTA” near Alampur was the base of the name of Shathavahana. Coins and inscriptions are found here but now it was submerged in the backwater of Srisailam Reservoir. 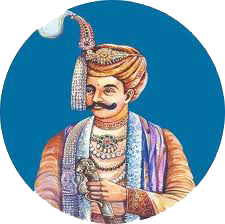 The founder of the Vishnukundin Dynasty Raja Maha Rajendra Varma belongs to Amrabad of Palamoor District. According to the Inscriptions of Indrapalanagara, Amrabad was the capital of the Mandalika Rajya. Later, Mahadeva Verma-I conquered the Kollapur area and spread the Vishnukundin Kingdom. According to B.N. Sastry Epigraphist the Vishnukundin were belongs to Palamoor Distrtict. The king Maha Verma-IV conducted the rituals like “Hiranyagarbha Prasuta Yaga” had defeated Chandraguptha of Soma Dynasty at Srisailam Forest Area and married his daughter Chandradevi and captured Chandraguptha Fort at this Forest (Nallamala). Badami Chalukyas having special place in the history of Palamoor. Keerthi Verma-I (the father of Pulakesi-II who defeated Harshavardhana on the banks of Narmada River) has merged Palamoor area in his ruling period. Especially, Alampur was the centre for this rulers in this area. We can see many inscriptions of Badami Chalukyan Kings. Navabrahmeswara Temples of Alampur have been constructed by Pulakesi-II of Badami Chalukyans. These temples are the first temples in Nagara style of Temple Architecture. This architectural style has been spread to Badami, Pattadakal group of temples, Aihole to Bubaneswar area and then to North India. Pulakesi-II ruled for 32 years and titled as Parameswara and he conquered total South India including Pallavas of Kanchipura. Kubhjavishnuvardhana who is the brother of Pulakesi helped in the wars. So, Pulakesi has given the Southern Part of Kingdom up to Krishna River as autonomous Kingdom to his brother Kubhjavishnuvardhana. We, also got copper plate inscriptions of Vikramaditya Satyasraya, son of Pulakesi-II at Andelapadu near to Alampur. Especially, Alampur Navabrahmeswara Temples are the land mark of Badami Chalukya Kings and Alampur was the birth place of Nagara style of temple Architecture. During the period of Rashtrakutas, Palamoor District played a vital role in many wars. Various kings of Rashtrakuta Dynasty took training in this area during their training period. “Dantidurga” who was the founder of independent Rashtrakuta Kingdom started his wars to spread the kingdom and defeated Keerthiverma-II of Badami Chalukya and conquered Badami Chalukyan Kingdom. Then the great king Dhruva-I conquered Vengi Chalukyas, Pallavas, Malava and Gowda Deshas and touched the Ganga River. He constructed the “Western Gate” to Brahmeswara Temple at Alampur at his first anniversary of his coronation in the year 780-81 A.D. as per the inscription of Alampur. During the festival of Maharnavami he arranged meals for thousand members at Alampur and given many donations. The other inscriptions of Rashtrakuta Kings at Alampur are Srimara Alampur inscription for donations to Utthareswara, Balaverma as per the available inscriptions. Govinda-III one of the great king has laid the inscription in Chowdeswari Temple near to Gangapur of Jadcherla Mandal along with his friend Beeragriha of Vemulavada Chalukyas. Amogha Varsha, Krishna-II and other kings ruled this area during the Rashtrakuta period. Kalyani Chalukyas are one of the great kings who ruled the district for about 200 years. Near 63 inscriptions have been found. Great temples of this district are the Agastheswara Temple, Kudali Sanghameswara Temple (presently this temple is located at Alampur), Alampuram, Gangapuram, Ujjili, Puduru, Bekkem, Allwanpally, Avancha, Pedda Kadumur, Budapur, Nekkonda, Rachur, Vankasamudram etc. temples are constructed in this period. Kandur Chodas are the feudatory of Kalyani Chalukyas. The great kings are Tailappa-II (965-997), Satyasraya (997-1008), Vikramaditya (1008-14), Jagadeka Malla (1015-43), Someswara-I (1043-68), Bhavaneka Malla or Someswara-II (1068-76), Thribhuvanamalla Vikramaditya (1076-1126), Someswara-III (1126-38), Jagadekamalla-II (1138-49) and Tailappa-III (1149-62). War sites of these kings in this district are 1. Pudur-near to Gadwal defeated Cholas. 2. Kudali Sangameswara Cholas- Lost War. These kings contributed a lot for Alampur temple. Telugu Chodas, Yadavas, Kakatiyas are the feudatories for these kings. Kanduri Chodas are originally belongs to Mahaboob Nagar. Origin for this dynasty is Telugu Choda. These kings ruled independently northern and southern parts of Krishna and Tungabhadra Rivers. Vardhamana Puram, Kandur, Kodur, Rachur and Gangapuram are the famous towns and as well as Capitals for these kings. Vangur and Sarikonda are the main centres. Vaidumbas are the feudatories of these kings which was ruled AIZA mandalam with 300 villages. Vardhamana Puram was the capital of Udhyana Choda. Kandur was the ancient city of this district. It was the capital for this kingdom for some days. These kings are described that they were belongs to Karikalachola family. Panagallu, Kandur, Ghanapuram, Gangapuram, Vardhamanapuram, Amrabad, Rachur, Kodur, Maghatala (Makthal), Vangur, Munnanur are having the forts in various places of this district and protected the kingdom. Kakati Rudradeva defeated the Bhimadeva who was the son of Udhyana Choda king of Vardhamanapuram and married his sister Padmavathi. Kings donated land for the temples and laid inscriptions, Lingala village is donated to Somasila temple. They developed this area as a powerful kingdom and ruled for 250 years. Kakatiyas are the great kings who contributed good and courageous importance to this district. Prola-II and Rudradeva conquered this area by defeating Kanduri Chodas. Rudradeva Constructed the Rudradeva Fort at Munnanur in the area of 30 miles. Ganapathi Deva, one of the great kings ruled over all Andhra Pradesh. During his period Ghanapuram Fort was constructed. Buddheswara Sahasralingam, Lakshmi Narasimha and Narayana temples were constructed. On the name of his parents, he donated the land of Peddapuram village. During the period of Rudramadevi, Malyalagundana constructed “Ganapasamudram” tank near Buddhapuram (Bhoothpur). Gona Ganna Reddy played a vital role during the rule of King Pratapa Rudra. He belongs to Vardamanapuram. He conquered Raichur and constructed a fort. His father is Gona Budda Reddy who contributed Ranganatha Ramayanam as Dwipada kavyam in Telugu Language. Budapuram, Vardamana Puram are the centres for Malyala Kings who were the Feudatories of Kakatiyas. These kings helped to Kakatiyas in many wars during the period of Ganapathi Deva, Rudramadevi and Prataparudra. Malyala Kappambhika, wife of Gunda Dandadeswara constructed a temple at Budapuram (Bhoothpur) in 1276 A.D.
Amrabad area is ruled by Cherukureddy kings. Inscriptions of these kings at old Shiva temple at Amrabad in 1258 A.D. describes about these kings. The king ruled under the capital of Amrabad and also some part in Nalgonda district. Gona Kings are the feudatories of Kakatiyas and ruled the Vardhamanapuram. Gona Budhareddy and Gona Gannareddy are the great kings who helped to Kakatiya Kings. The main centres of this Kingdom are Vardhamanpuram (Vaddemin of Bijinapally Mandal) and Budapuram (Bhoothpur). The Eastern part presently located at Madgul Mandal. The name of area is “IRVIN” ruled by Vavilala Kings, these kings ruled Amanagallu, Charikonda, Irvin and Vangur areas. Rudraya Reddy was the great king of this dynasty. These kings are the feudatories of Kakatiyas. During the period of Kakati Mahadeva who defeated by Yadava Kings, this area was under the rule of Yadava of Devagiri. “Sthanumantri” the Dandanayaka of Yadava King Ramachandradeva laid the inscription at Shiva Temple of Magatala (Makthal) about the rule of Yadavas in this area. After the defeat of Prataparudra by the Muslims, the Kingdom of Kakatiya was ruled by Musunuri Kings who was the feudatories of Kakatiyas. During this period, Palamoor, Shaadnagar areas were under the rule of these kings. Prolaya Nayaka and Kapaya Nayaka are the great kings. Post Kakatiya period these kings had tried to protect Hindu culture and kingdoms from Muslim invasions. Bahamani Sultan Kingdom has spread the wars to this area during their period to face the Vijayanagar Kings and others. The main centres of these kings are Gulbharga, Raichur and other forts, which are surroundings of this district. So many wars took place in this area. Sultan has been occurred at Krishna and Bhima river confluence led by Ramaraya of Vijaya Nagar. This area was under the direct rule of Qutb Shahis of Golkonda, Koilkonda and Ghanapur which were main defence forts of this kings. In 1565 Rakkasi Thangadi war held in this area. Aurangzeb attacked on Golkonda fort also took place from this area only. In 1397 AD Alampur and Panagallu were conquered by Vijayanagar Kings. Many wars between Vijayanagar Kings and Sultans were held in this district. Koilkonda, Panagal, Raichur are the strategical forts of this period. During the rule of the great king Srikrishna Devaraya (1509-29), he frequently visited Alampur temple and constructed Narsimha Swamy temple at Alampur. In 1521 A.D. Srikrishna Devaraya laid Alampur inscription and he offered donations to Alampur temple. According to the copper plate inscription of Alampur, 1526 describes that Alampur was one of the Nayankara. Achutaraya Conquered Panagal. During his period in 1565 Rakkasi Thangadi War which held on the bank of the river Malapahari-Krishna changed the fate of Vijaya Nagara Kings. Some parts of this war also held at Maganoor Mandal area on the banks of Krishna-Bhima Sanghamam. Before that in the year 1557-58 Ramaraya arranged a meeting between Sultans and adjusted them to maintain friendly relations at Krishna-Bhima Sangamam in Mahaboob Nagar District. After the defeat of Vijayanagar Kings this area was under the control of Qutb Shahi Kings till 1587. Aurangazeb, the Mughal emperor, invaded Golconda in 1687 A.D and annexed it to the Mughal Empire. Since then, Golconda became part of the Deccan Subha and a Nizam was appointed as an agent of the Mughal emperor. Thus, for about a period of 35 years it was ruled by the Moghuls, the last one being Mubariz Khan. This dynasty acquired enormous wealth and lived most extravagant and lavish life for that time. Nizam VII was the richest man on the earth in his period. He was also awarded as “Faithfull Ally of the British”. Though people suffered, they left behind lot of well known landmarks, rich treasures, art, lavish food style and rich culture. Mir Mahaboob Ali Khan Nizam-VI a great and generous ruler ruled from 1869-1911 who was known as a good king among the Nizams. Salarjung reforms took place in this period. Maharaja Kishen Pershad has introduced many reforms in this period. On the name of this Nawab the Palamoor District has been changed to Mahaboob Nagar District in the Nizams State. He released 25 Lakhs for action against to draught. He also known as “Mahaboob-E-Deccan”. The last Nizam Mir Osman Ali Khan (1911-1948) ruled this area. Many wars took place during this period. Freedom Movement took place in all over the country, but Nizam suppressed a lot in his kingdom. During his period on 10th May 1925 “Golkonda Pathrika” (News Paper) started by Suravaram Pratapa Reddy who belongs to Palamoor District of this State and fought against Nizam rule for freedom. The war against to Nizam started in 1947 and the Nizam had given powers to Razakars and they tortured the people maximum at last in 17th September, 1948 Indian Military defeated Nizam under the mighty leadership of Sardar Patel and merged in Indian Union. The people of this district also got freedom and till the date are under the rule of Government of India.